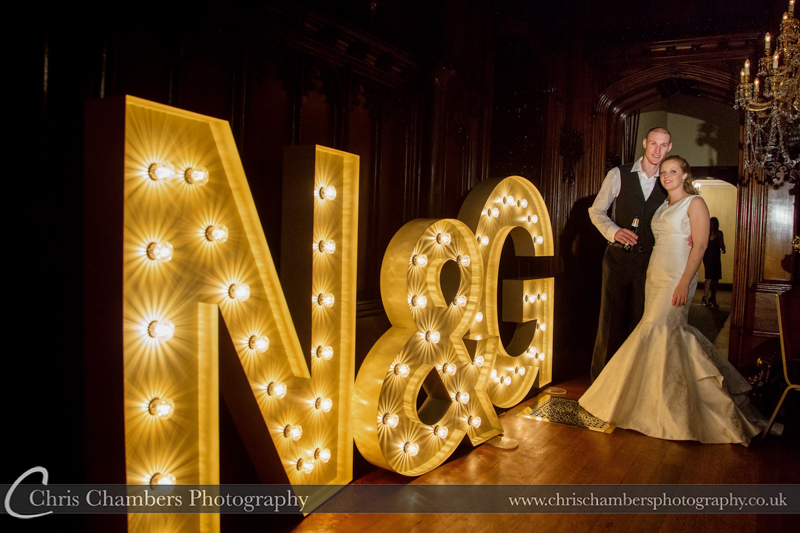 Gary and Nicola were married in a civil wedding ceremony just before Christmas at the amazing Allerton Castle in North Yorkshire. 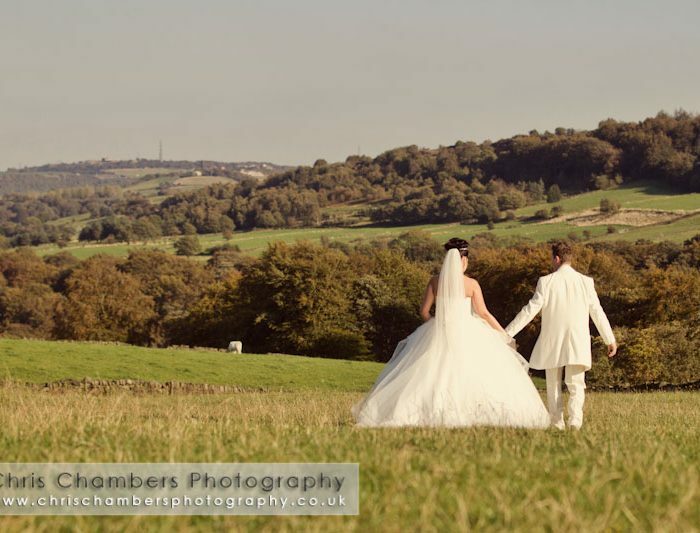 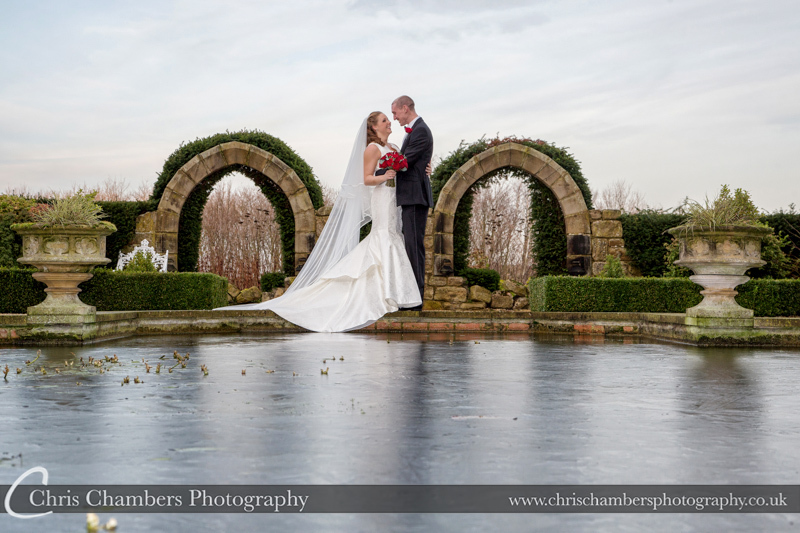 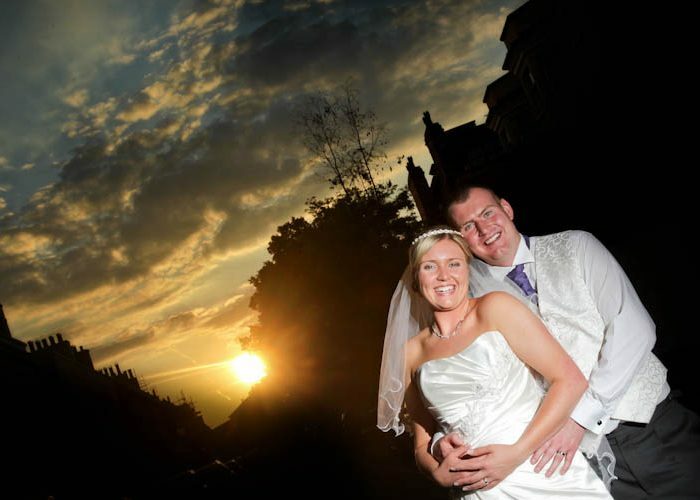 We seem to have been quite lucky with weather throughout December and Gary and Nicola’s wedding day was no exception. 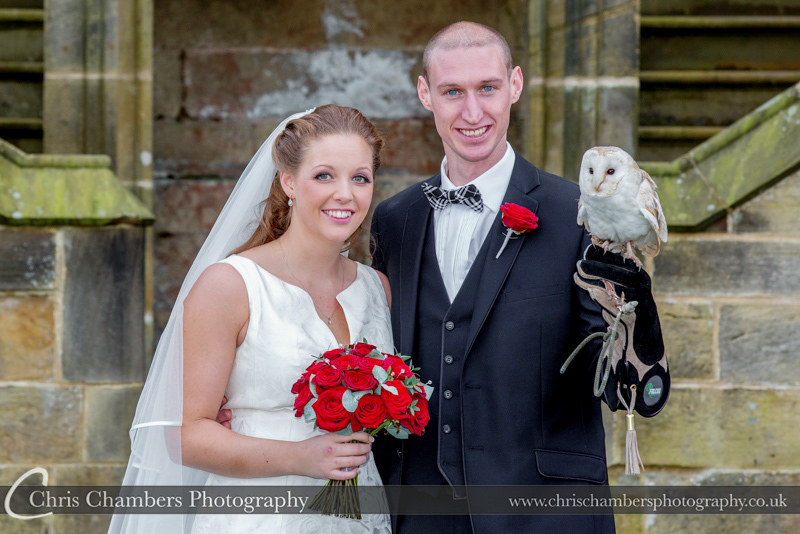 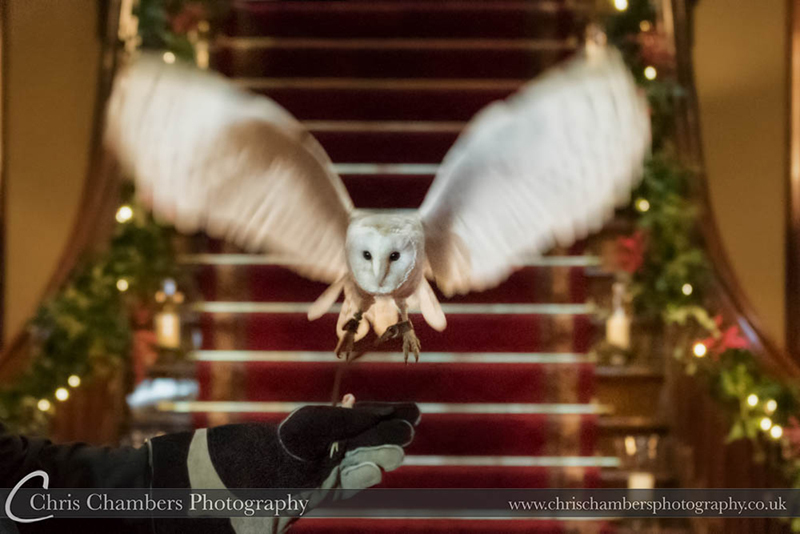 marrying later in the day meant we didn’t have much daylight to play with before sunset and so following their wedding ceremony complete with wedding ring delivery by barn owl ( see photographs below) we headed straight outside to Allerton’s memorial garden for a number of photographs before confetti and back inside to make use of the stunning drawing room for the small number of family groups Gary and Nicola has requested when we met up for their pre-wedding shoot. 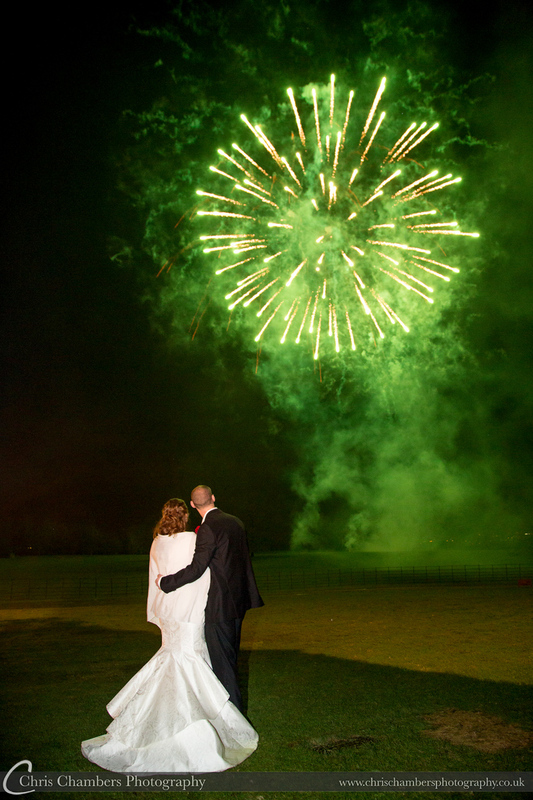 With wedding breakfast, speeches and other formalities out of the way guests were able to enjoy the first dance and evening reception complete with a firework display. 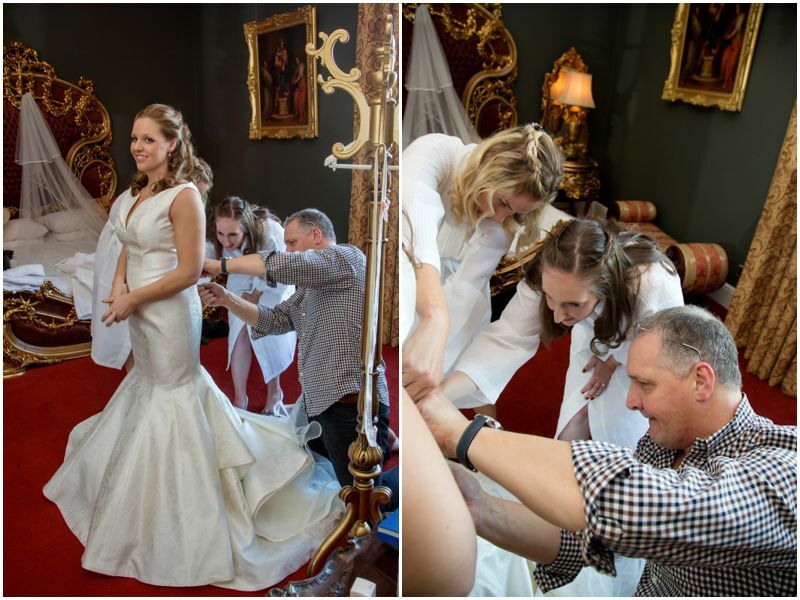 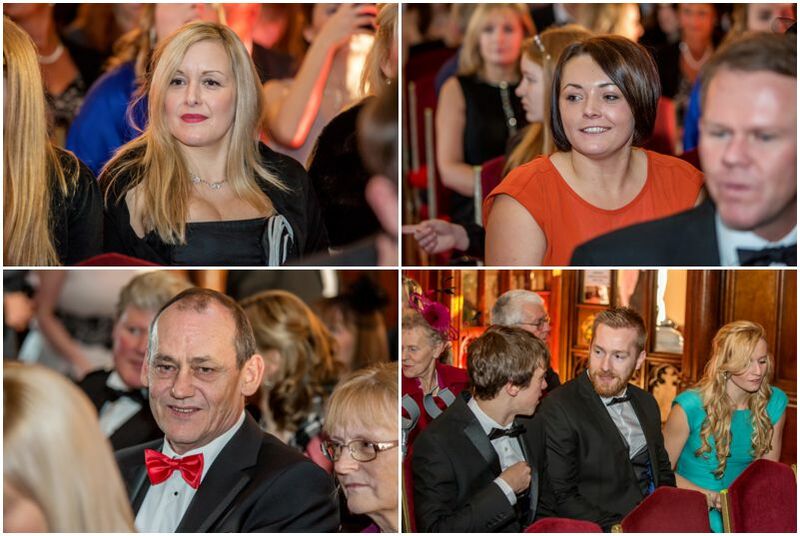 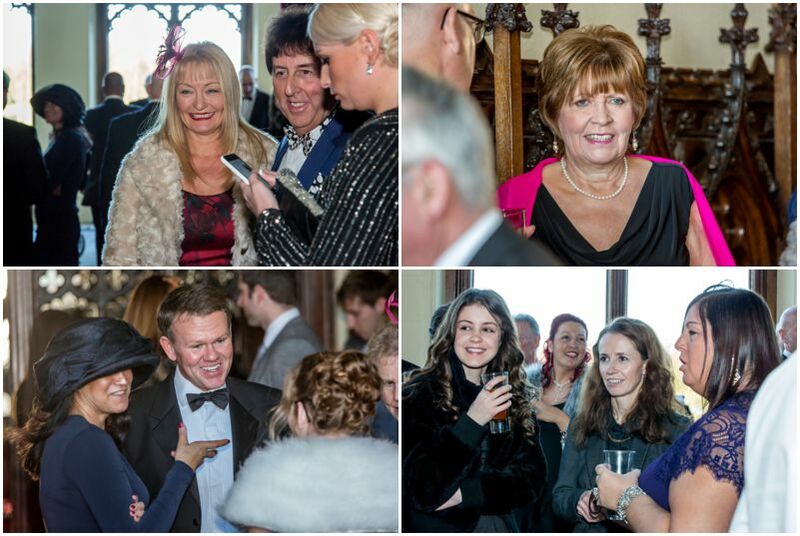 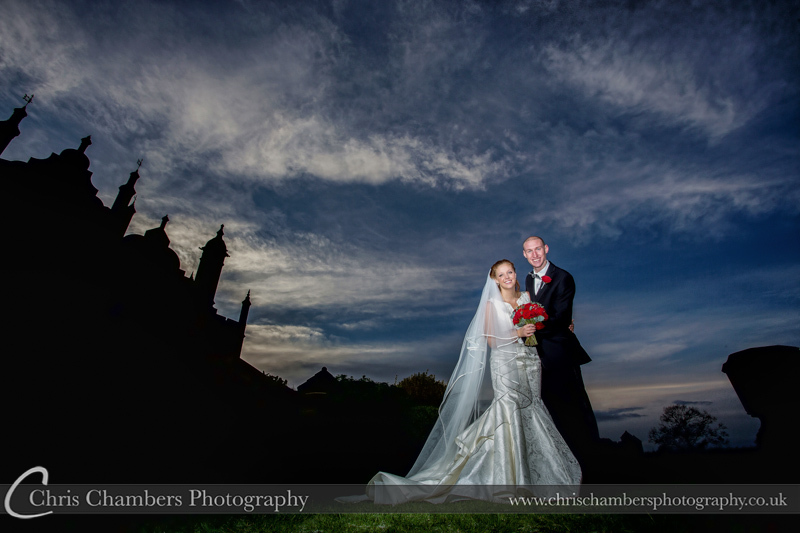 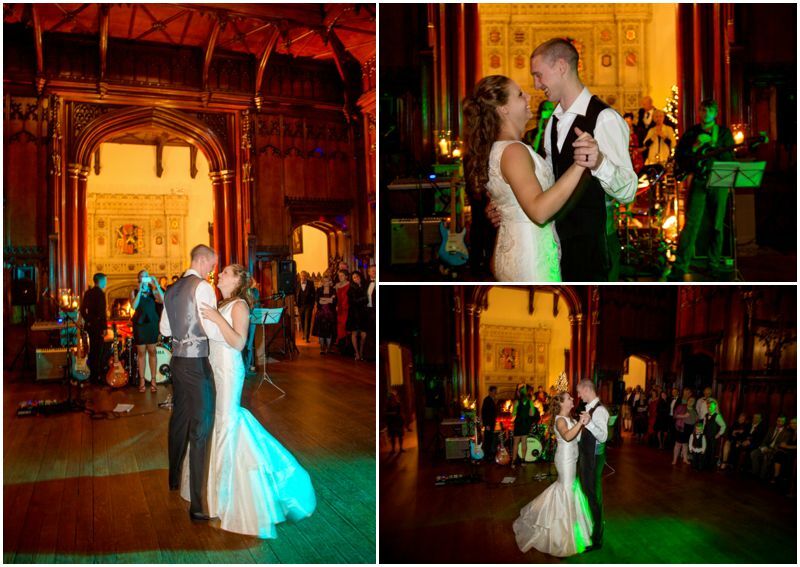 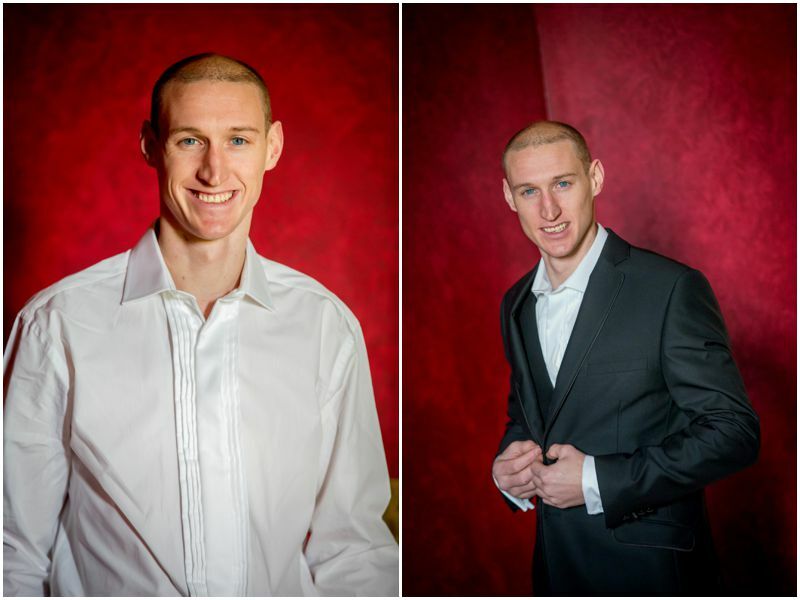 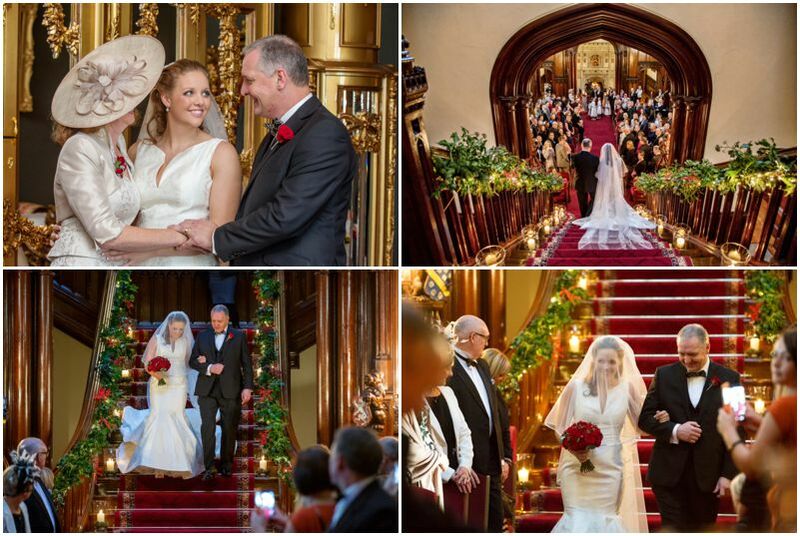 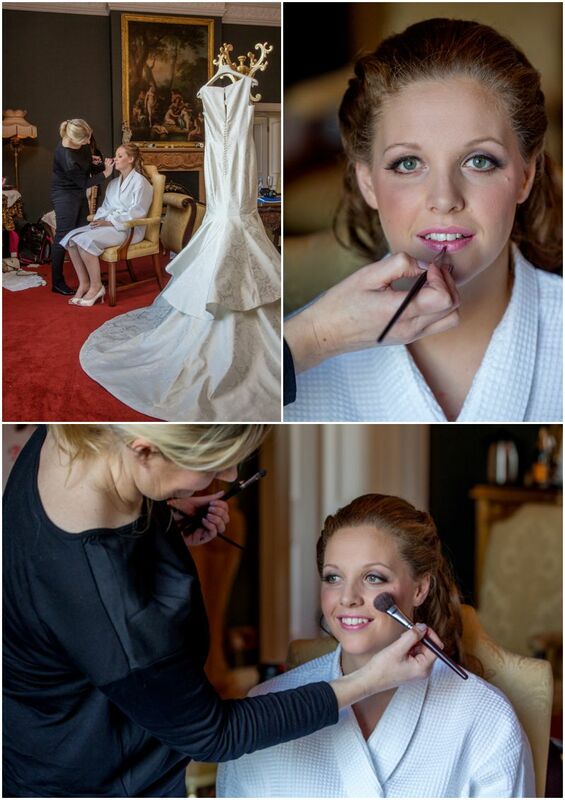 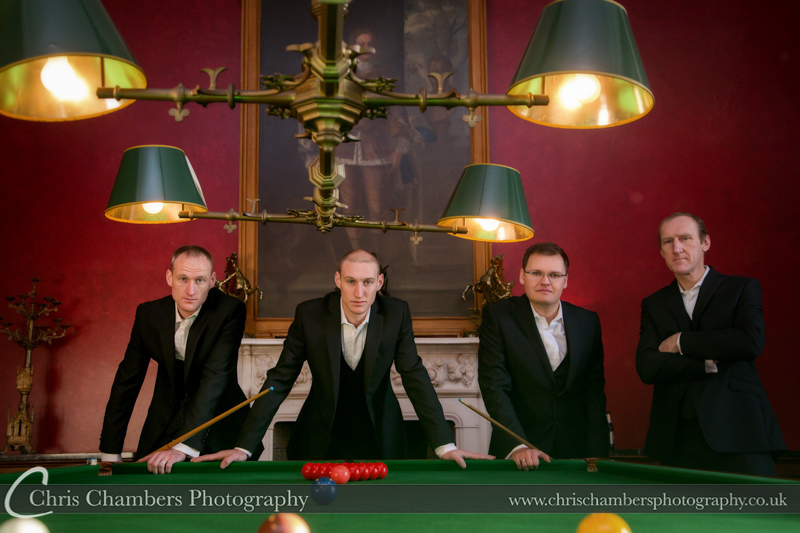 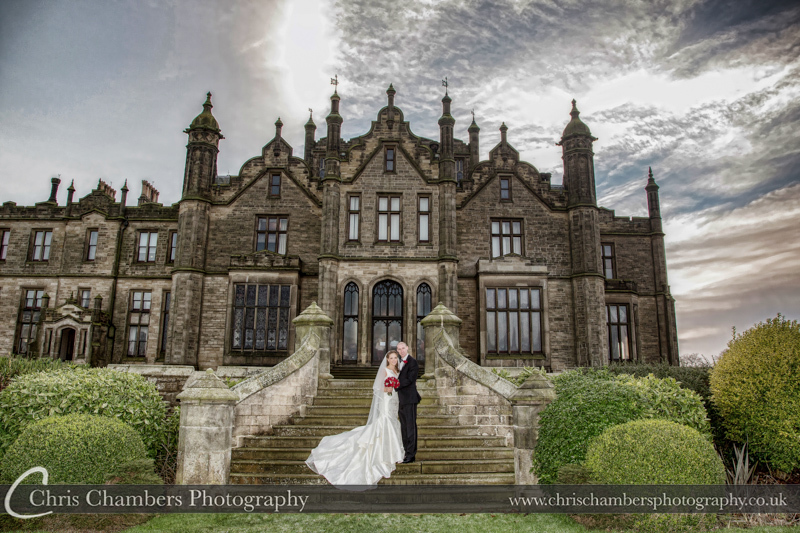 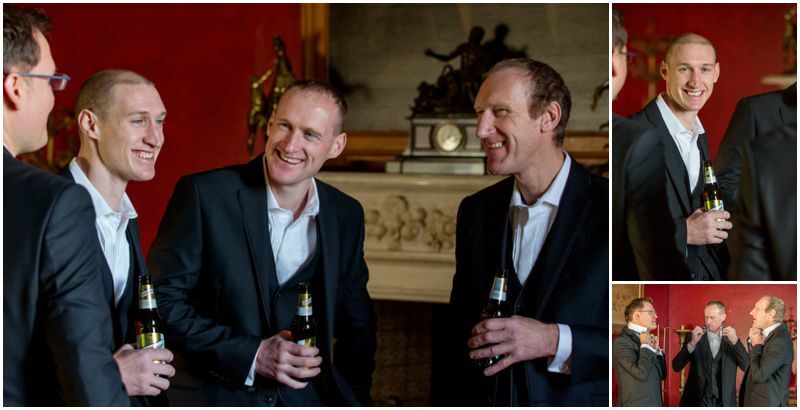 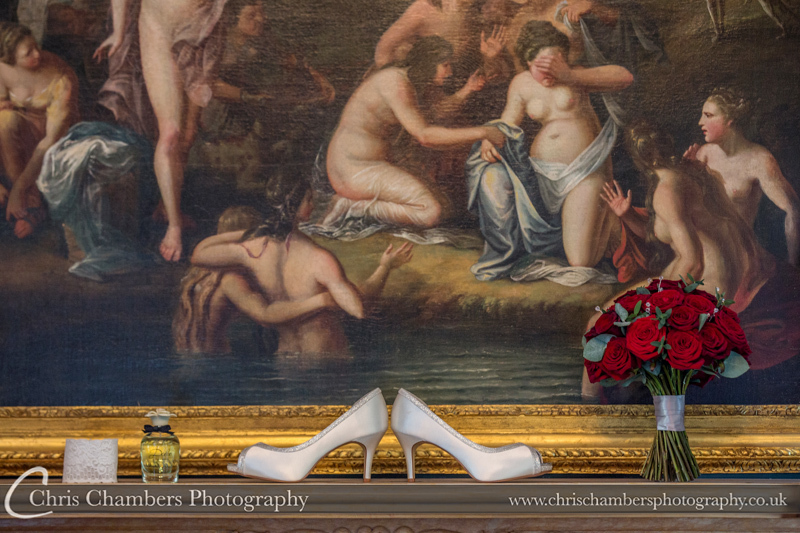 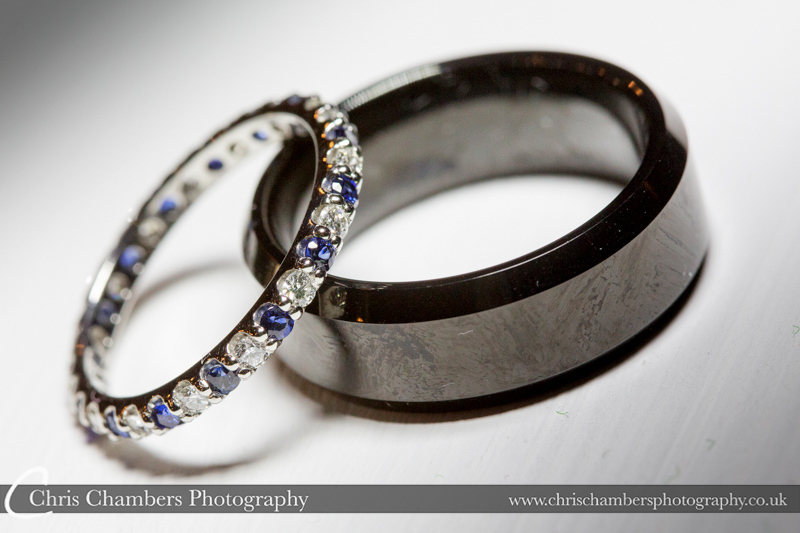 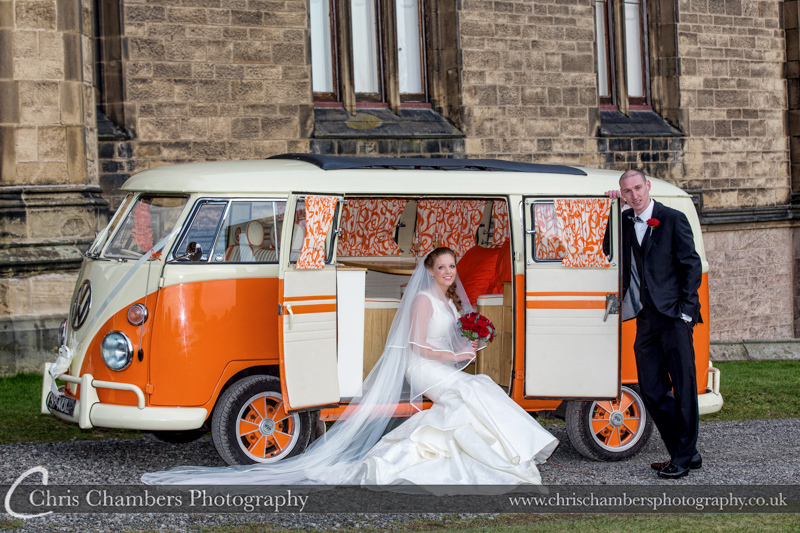 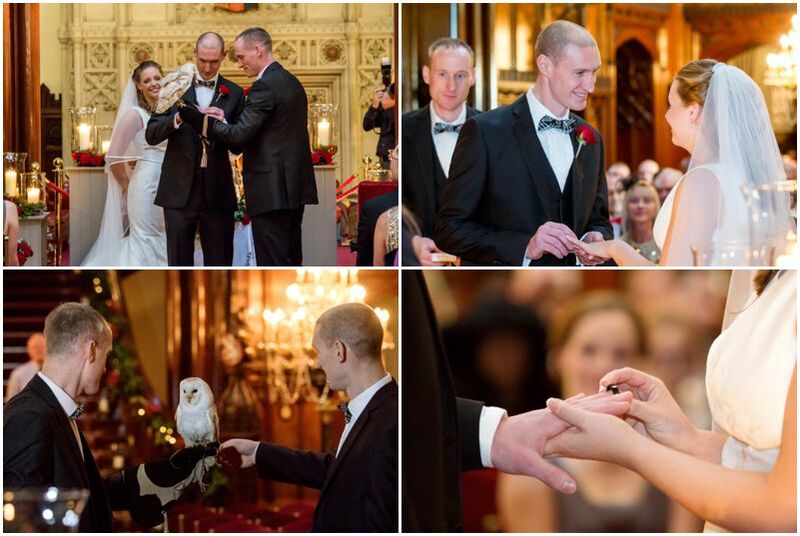 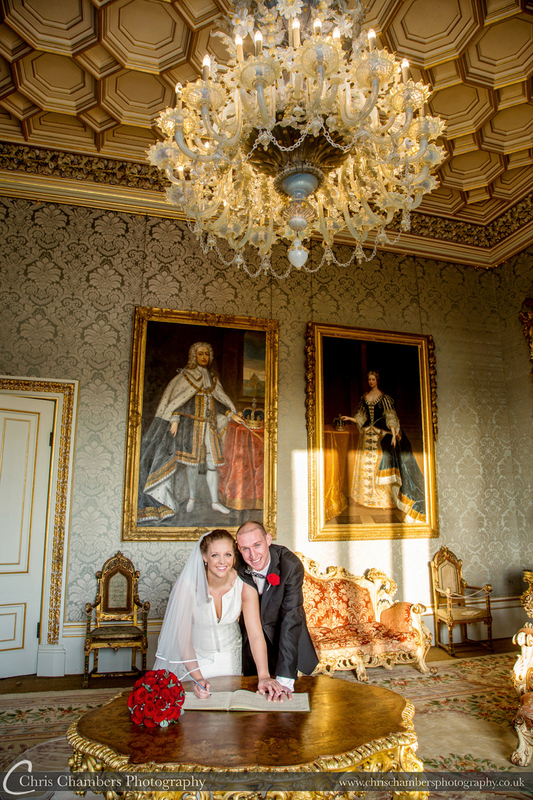 Some of the many wedding photographs from Gary and Nicola’s wedding day at Allerton Castle. 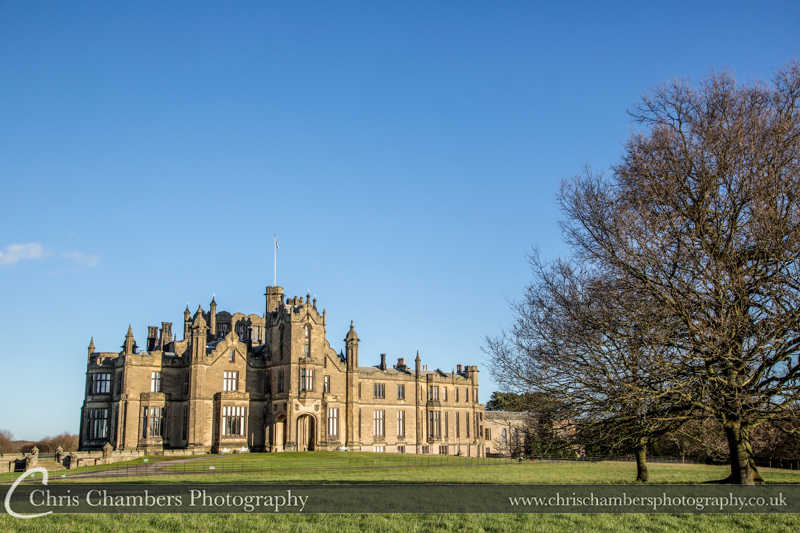 Allerton Castle in the low winter sun. 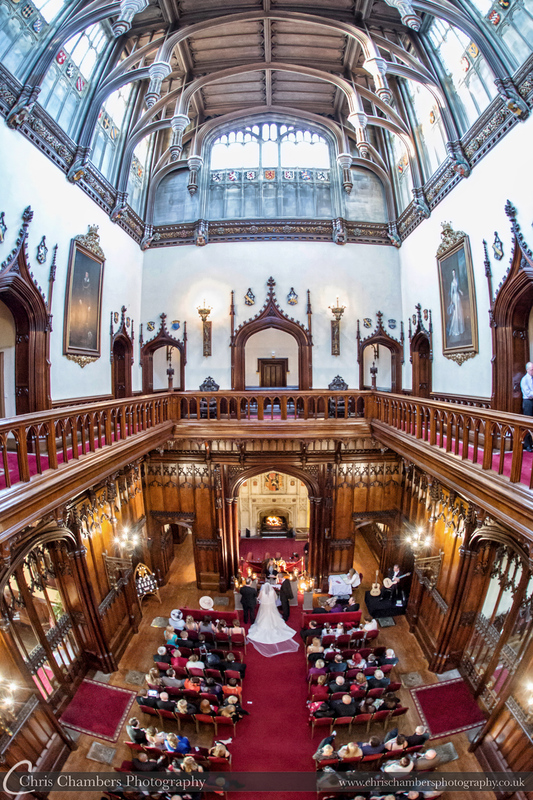 Allerton Castle’s Great Hall. 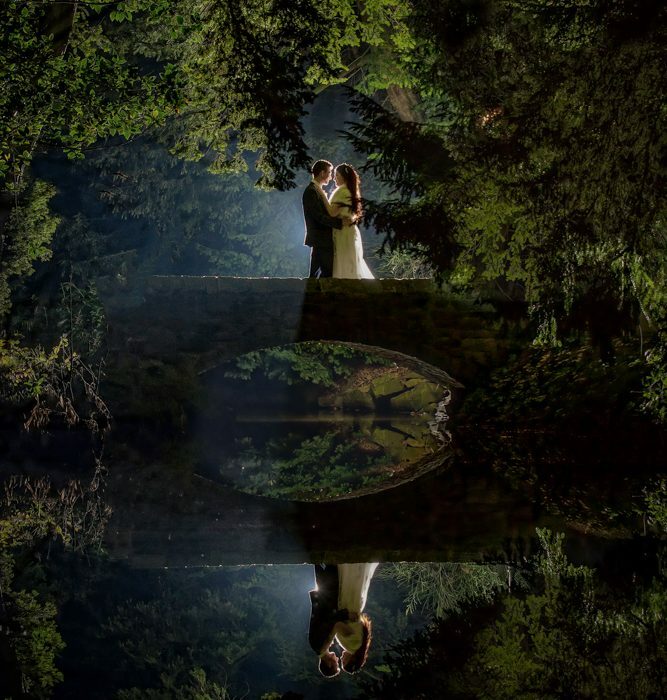 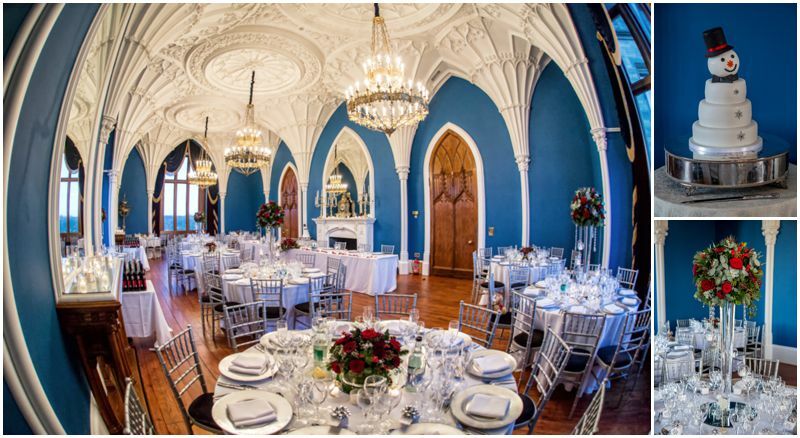 A Stunning wedding ceremony location. 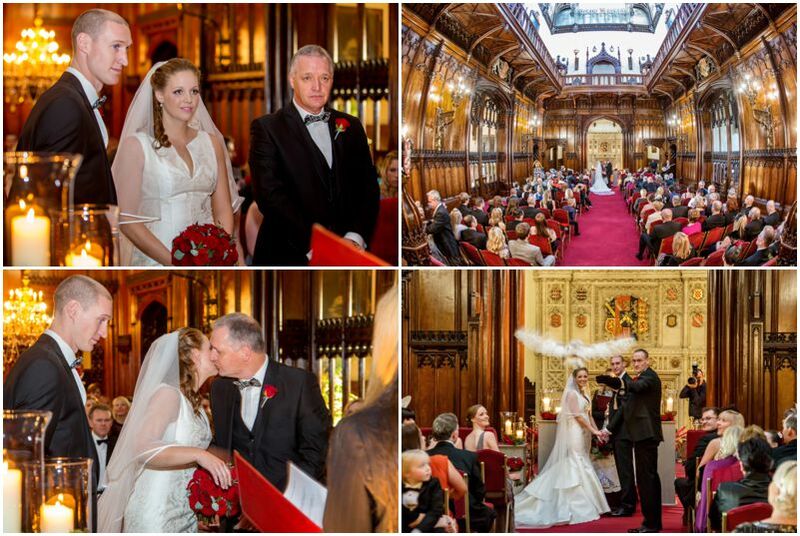 The wedding ceremony at Allerton Castle. 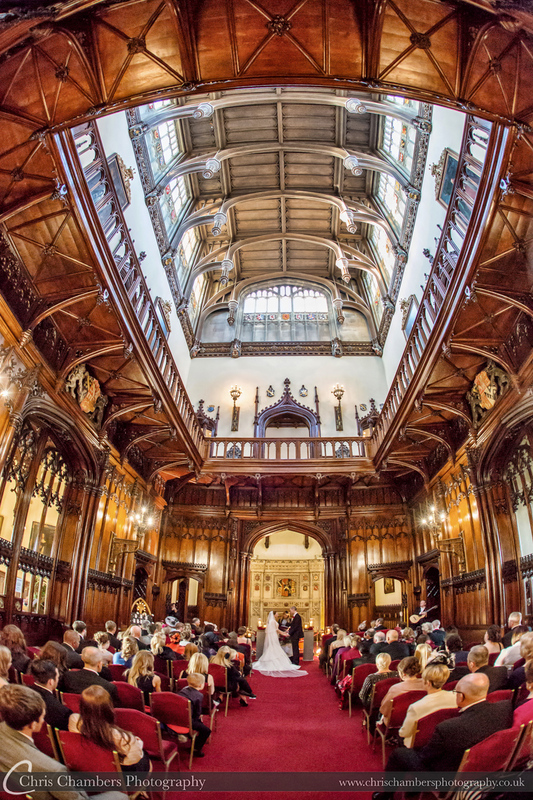 Viewed from the gallery in the great hall. 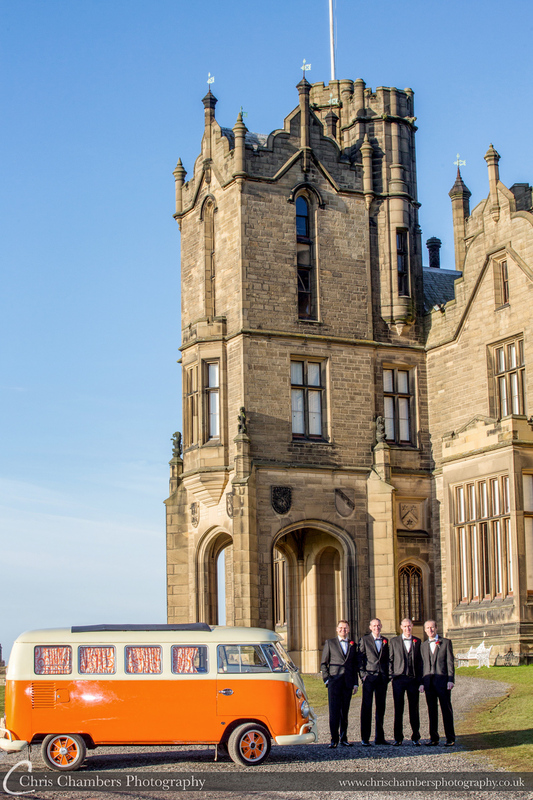 The Ballroom at Allerton Castle all set for wedding breakfast. 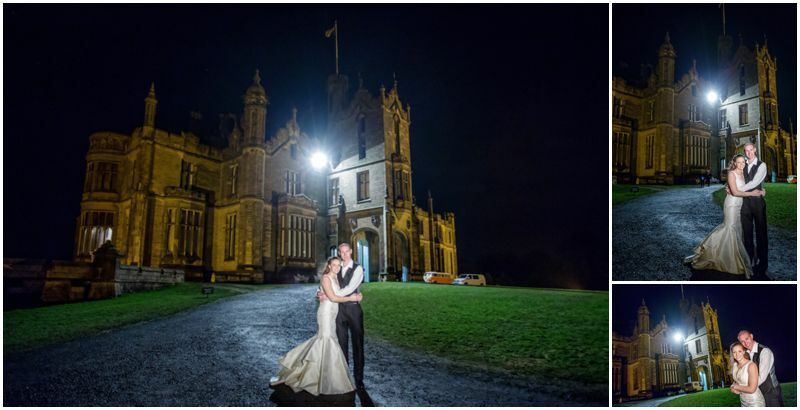 Inside Allerton Castle at Night. 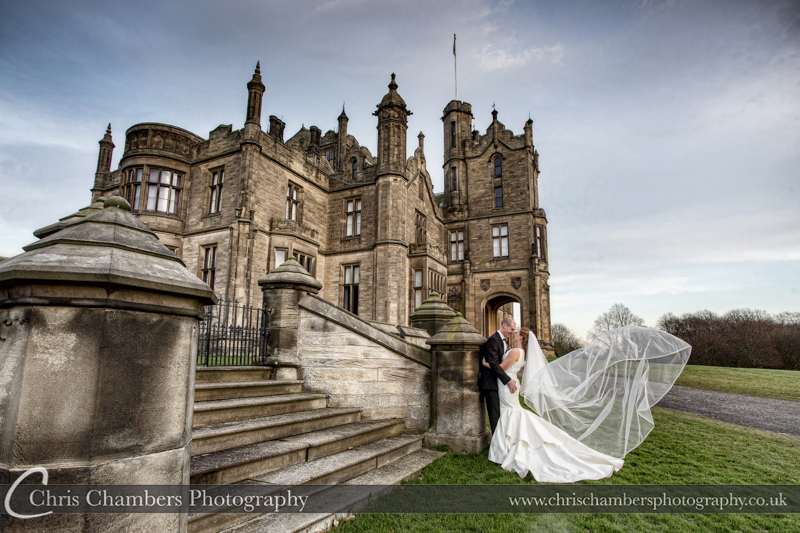 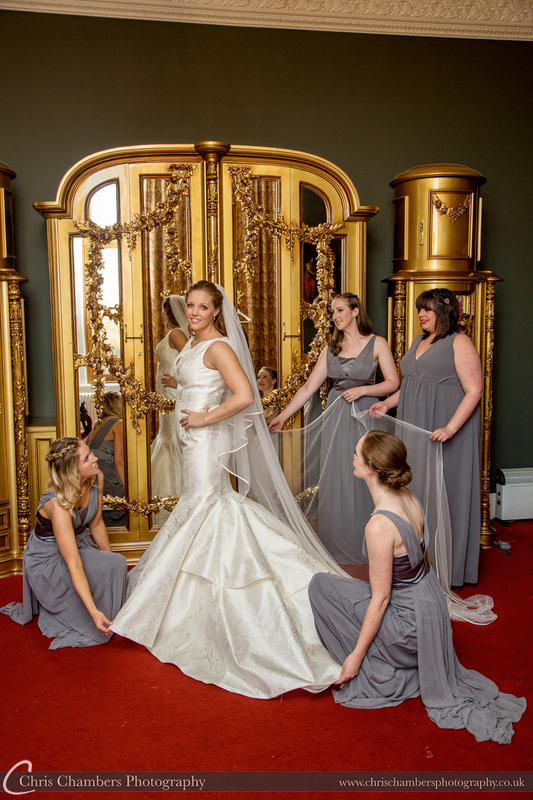 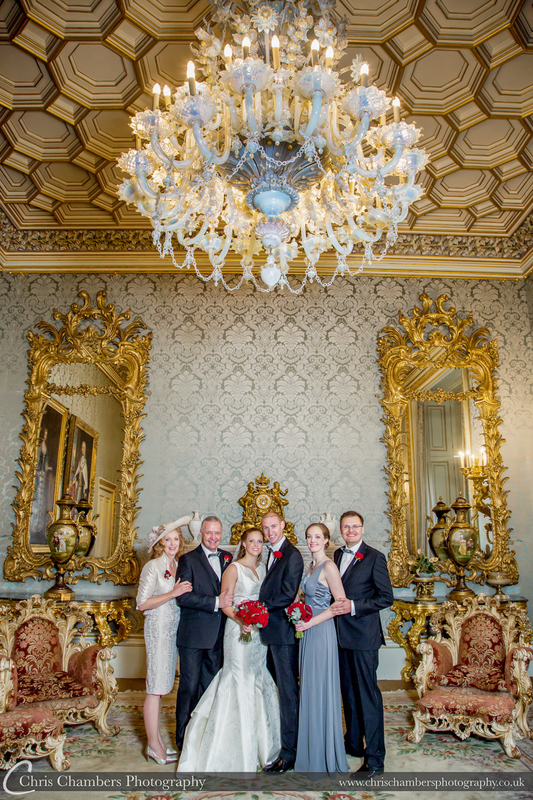 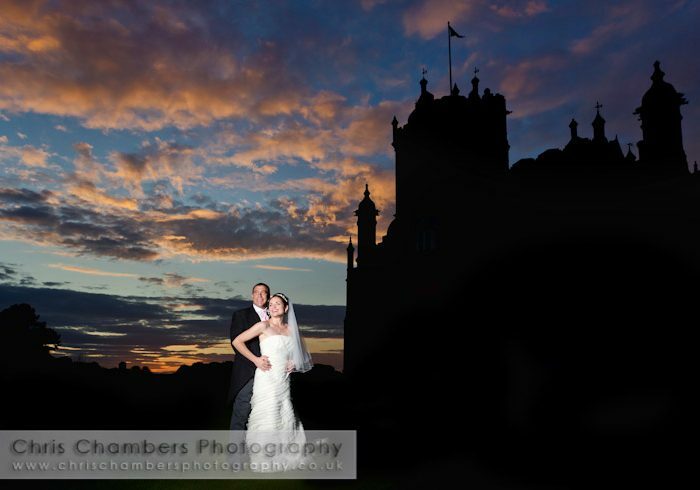 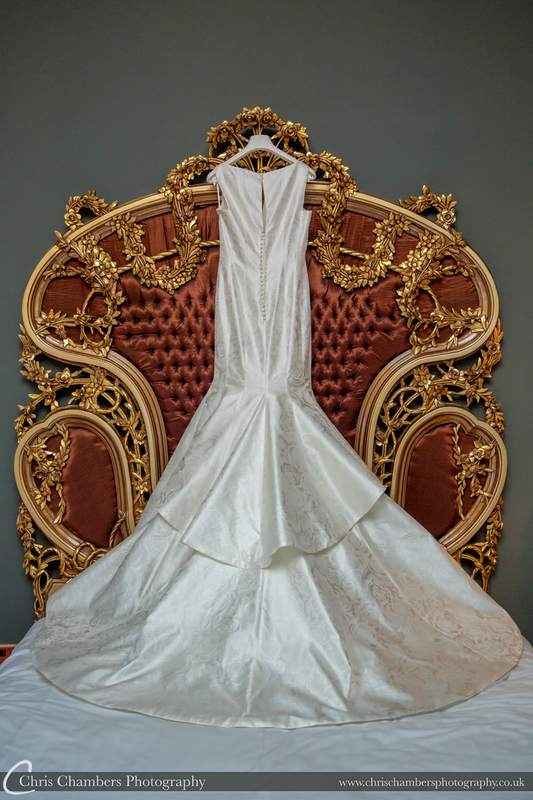 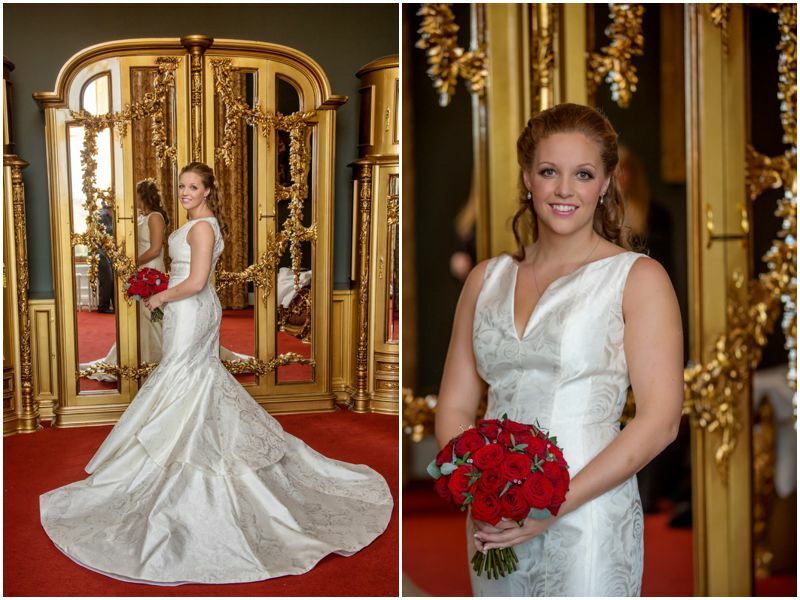 Wedding photography Allerton Castle.